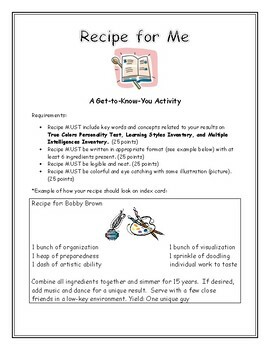 A "beginning of the year" or "get to know you" activity for any content area. Prior to assigning this activity you should have your students complete the specific personality tests and learning style inventories named in the document. Once completed and graded, these recipe cards make really cute bulletin board material!